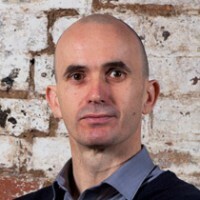 Chris Hides is the founder and Managing Director of M&C Saatchi PR, a global PR agency that is headquartered in London. He and his team have developed campaigns for a wide range of brands including EE, Peroni, Red Bull, Spotify, Twitter, Snapchat, Dixons, Ocado, Disney, Captain Morgan, Footlocker, KP, AXA and Travelex. His most recent successes include getting urban freeclimber James Kingston to walk across the arch at Wembley for EE, creating the House of Peroni for the Italian beer brand, launching Britain’s Next Top Supplier for Ocado and staging David Ginola’s bid to become president of FIFA for Paddy Power. Chris has been working with Hugo and the Surfers Against Sewage team for four years during which time they have developed several very successful campaigns. This year’s campaign saw acclaimed tattoo artist Nick the Taylor to develop a set of Save Our Seas campaign tattoos to raise awareness of marine litter. He is from Aberystwyth in West Wales and is a keen surfer. Living and working in London with a young family, Chris will take whatever waves he can get, believing simply that no surf is too small or too blown out.